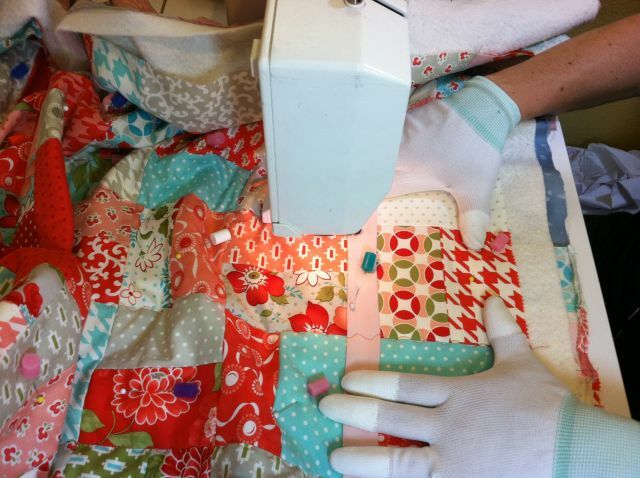 This week’s do-it-yourself-quilt tutorial will be pretty long. 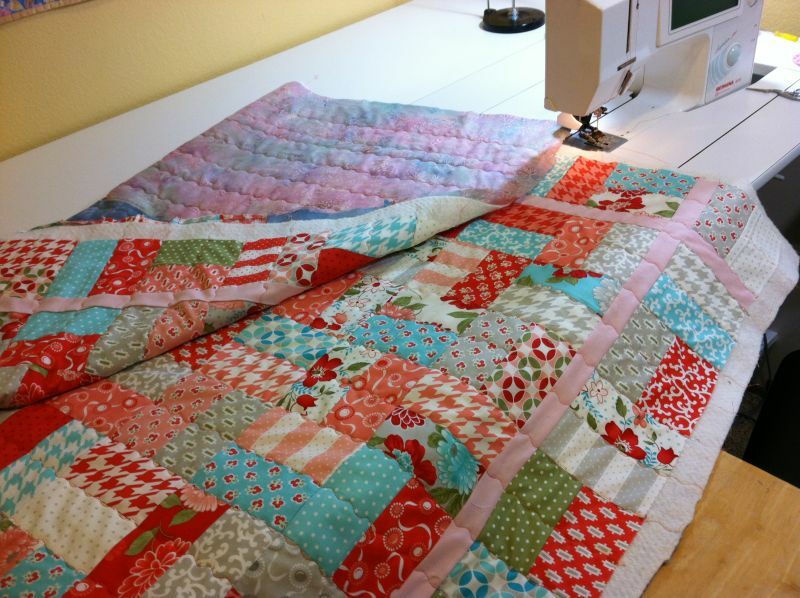 We are finishing our Jelly Roll quilt tops and I’m including lots of steps with photos. You can click on last week’s post here. 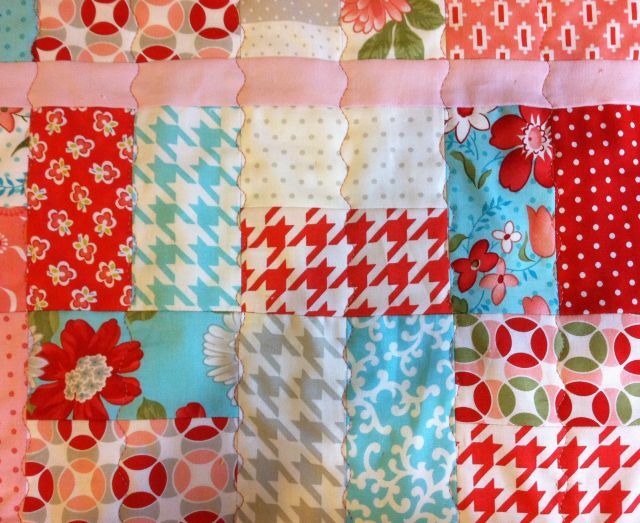 Grab 100 of your sewn blocks and pair them up into sets of 2 like this. Notice the orientation. 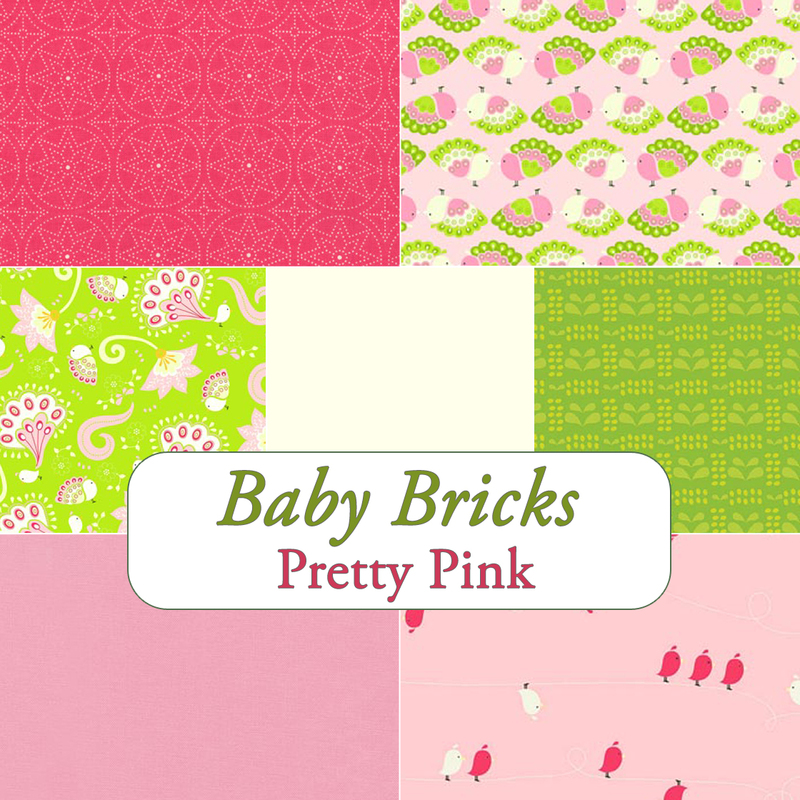 Sew them all together so that you have 50 block pairs. Next, sort your pairs into five stacks of ten block pairs each. This will be for 10 rows you will sew. 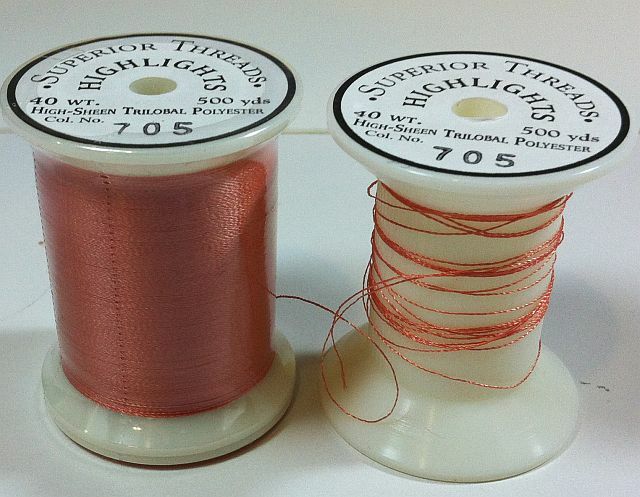 Sew the top two pairs together and then the bottom 3 pairs together. 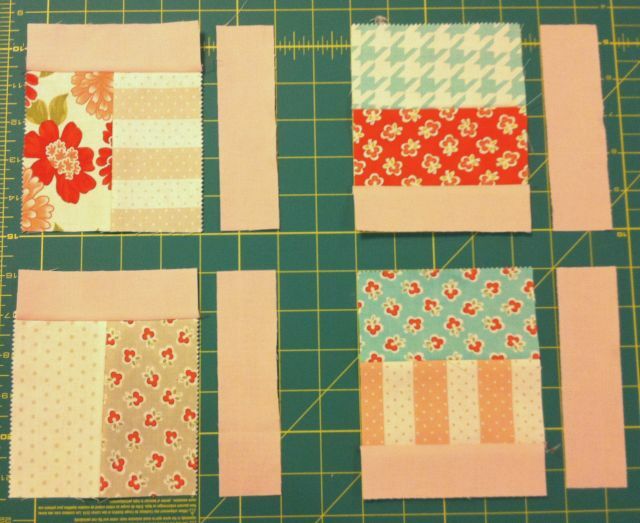 Of course, you can shuffle them around as desired and assembly line sew all the stacks to make it quicker. Join these two pieces together to complete a row from each stack. Repeat to make 10 rows of 10 blocks each. They will all look the same and you will flip every other row to create the pattern. Please take this into account if you are using any directional fabrics. 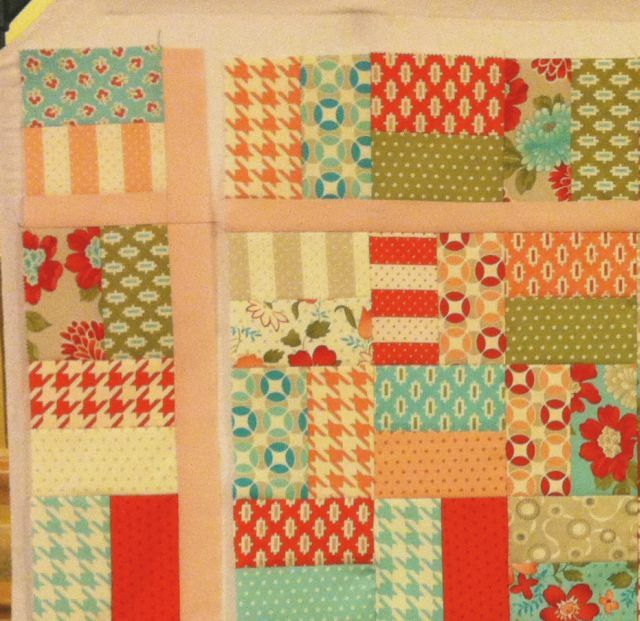 Lay out all 10 of your rows horizontally into a pleasing arrangement. Flip every other row to create a horizontal-vertical-horizontal pattern with the blocks. 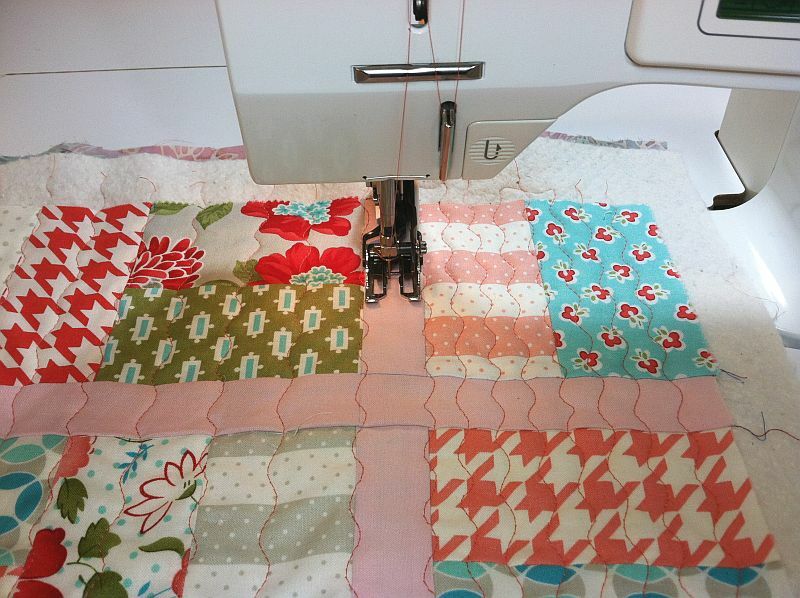 Implement the 3 P’s for pretty patchwork: Press, Pin, and be Precise! 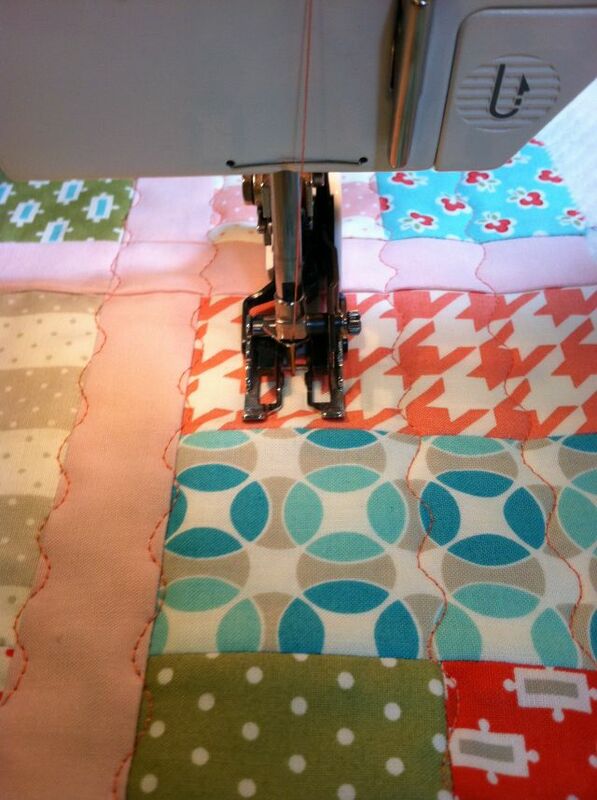 Sew the rows of blocks together into groups of two. I put each row up on my design wall to make sure I don’t have the same two fabrics touching. Join rows to complete the IQ. 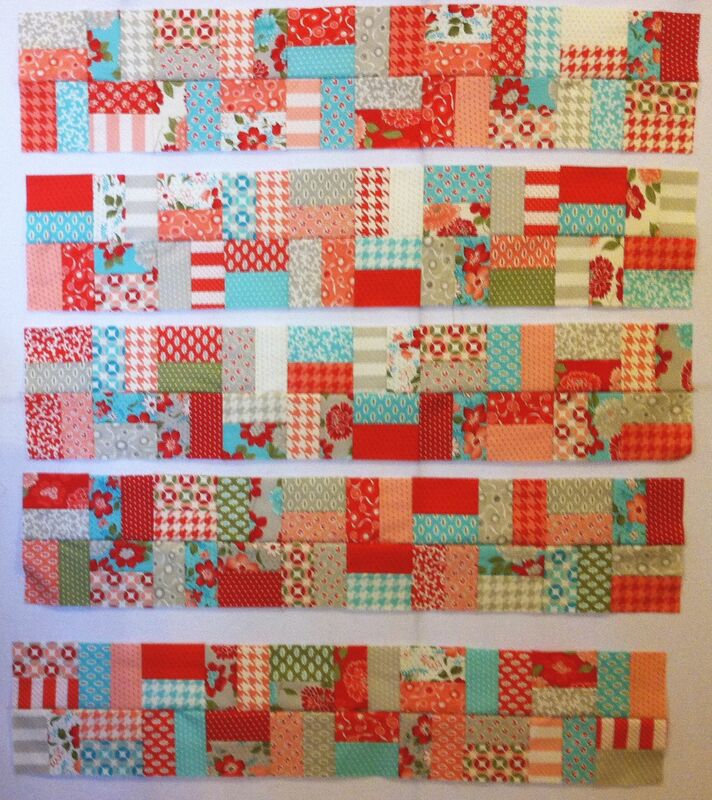 Sew together 4 more rows of 10 blocks each. Keep the same horizontal-vertical-horizontal pattern going. 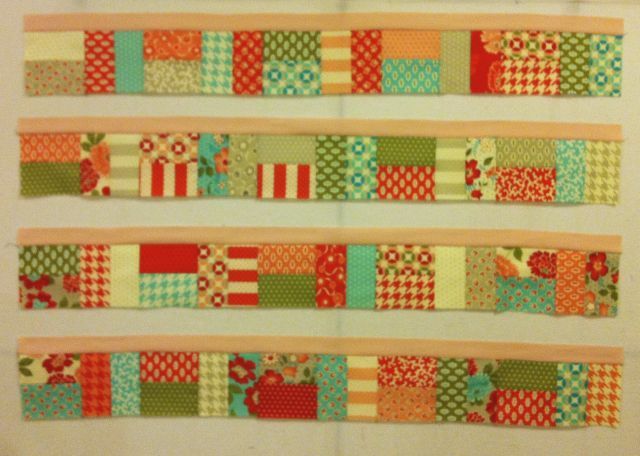 These strips will be for each of your borders. 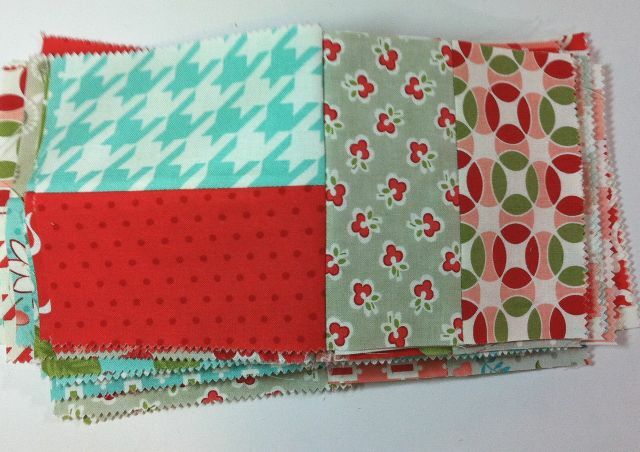 From your solid fabric, cut 5 – 1.5″ strips. 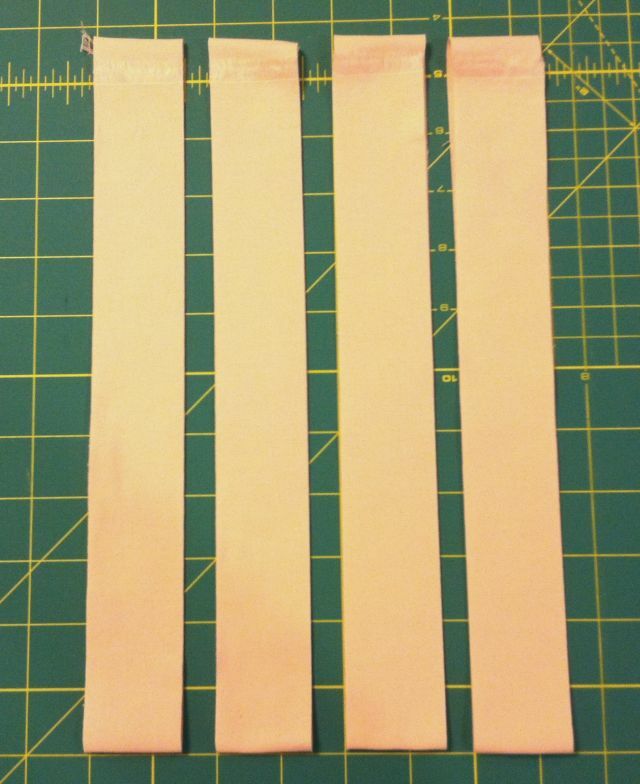 Measure each of your rows and trim 4 of these solid strips to that measurement. 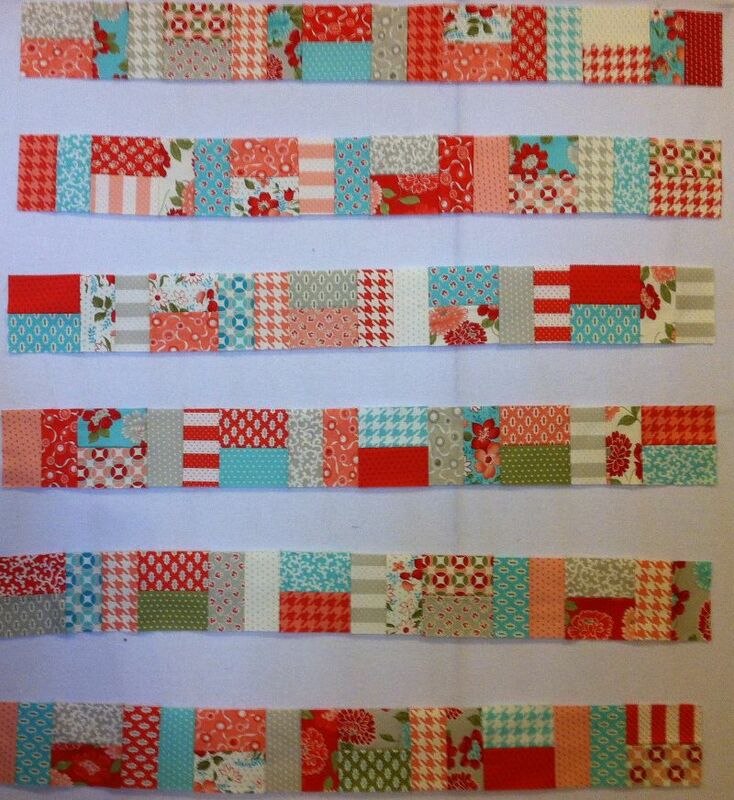 Add a strip to each pieced border row on the same side so that they all look the same. The rows should measure 40.5″ unfinished. However, my rows grew to 41.5″. That’s ok as long as they are all consistent! 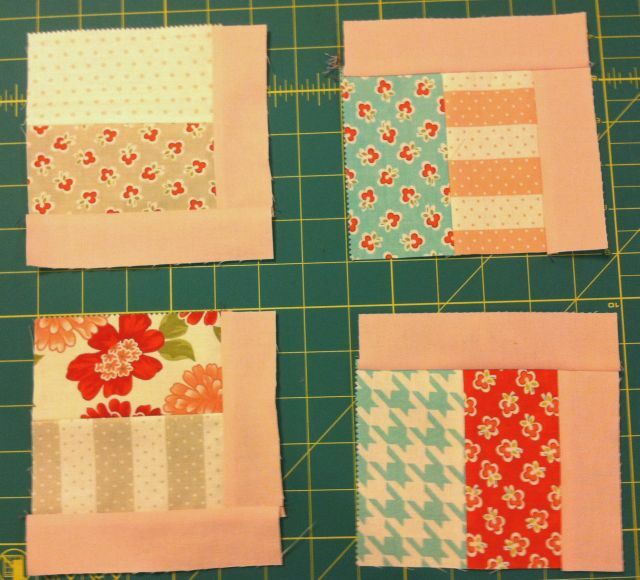 Next, set aside 4 extra pieced blocks for each of the corners. 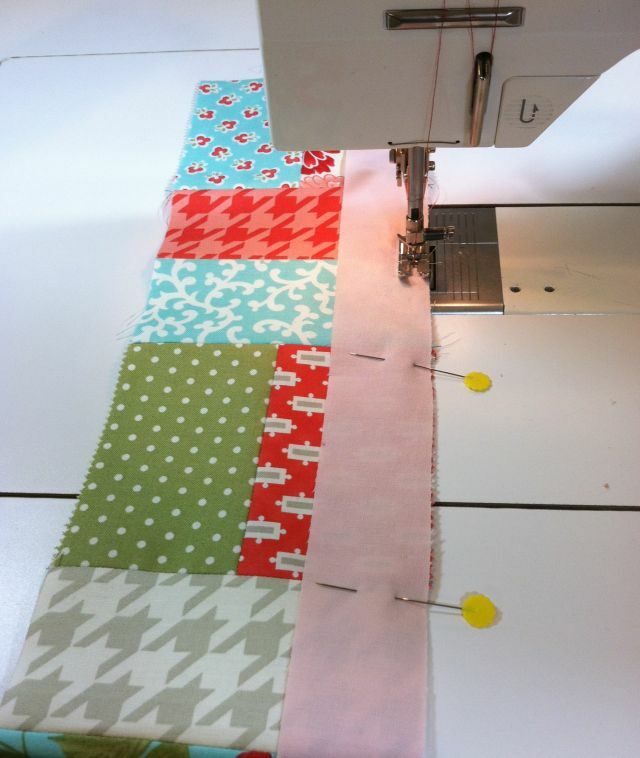 Add a strip of 1.5″ solid to two sides of each block so that it looks like an L. Be sure to sew as shown below to make sure they are positioned carefully. If your blocks measure 4.5″ unfinished, you can trim 4 solid side strips to 4.5″. Trim the other solid side strips to 5.5″. Two of each block will be the same. 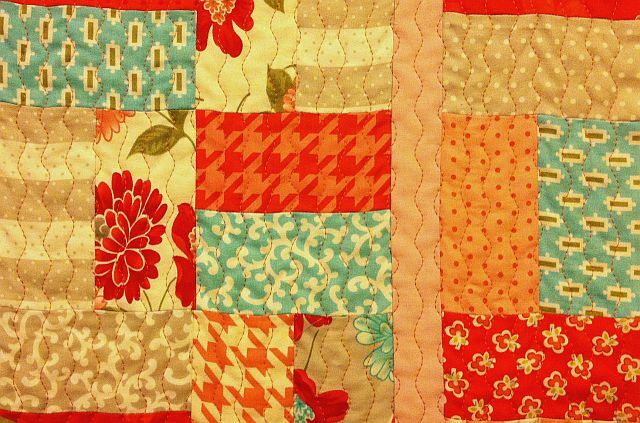 Now it is time to sew two of your pieced borders to the top and bottom of your quilt. 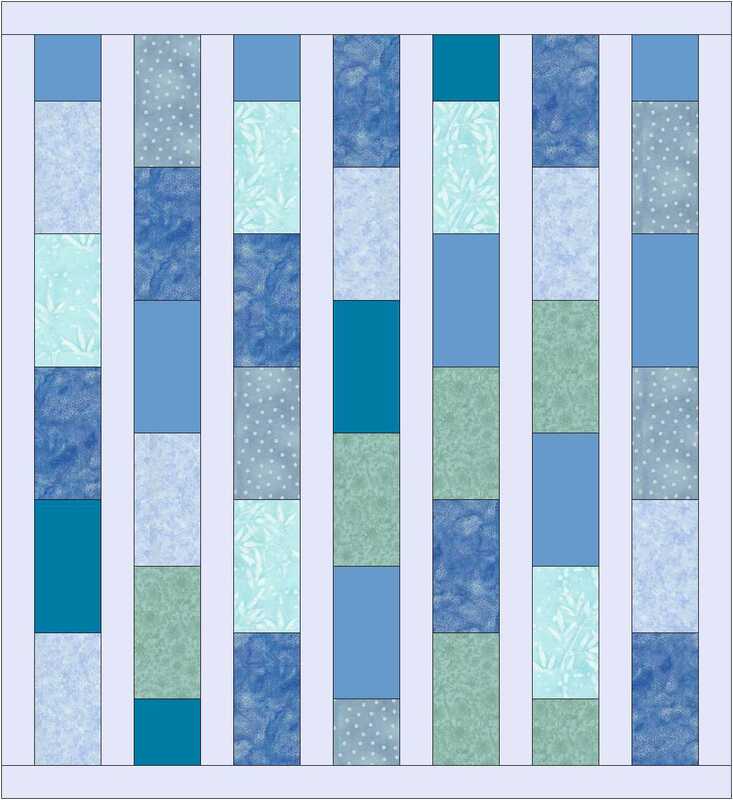 Flip the border strip so that your vertical-horizontal-vertical block pattern continues in the borders. 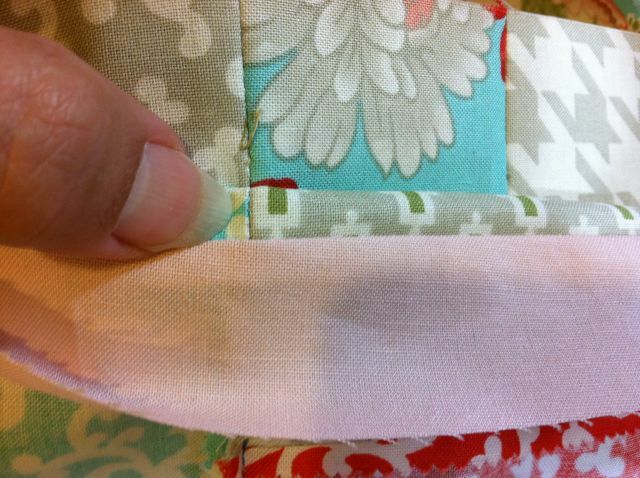 To make the rows line up properly, flip the border strip down so you can match up the seams. Use lots of pins to keep everything lined up straight. 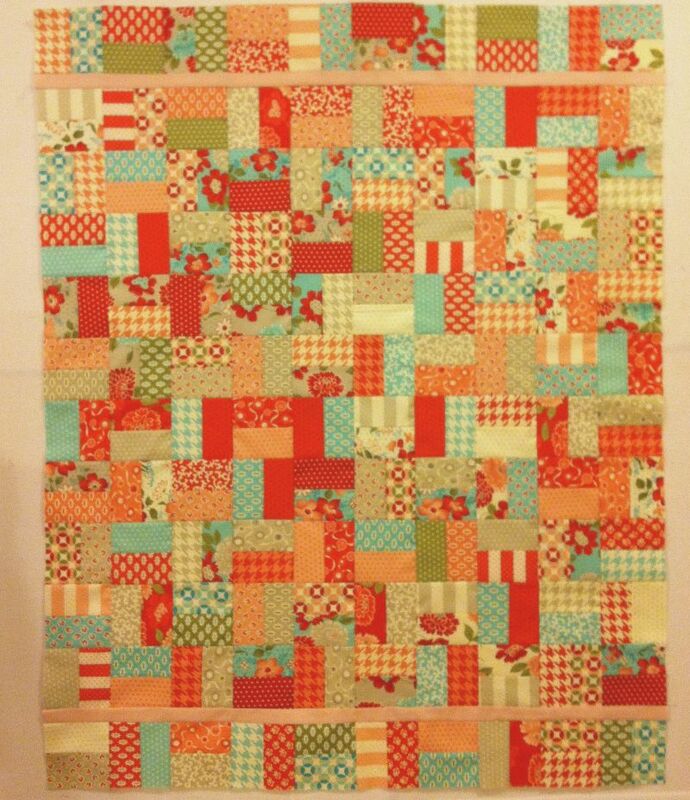 Add corner blocks to either side of the remaining two pieced borders trips. Again, watch the rotation of your blocks. You will notice I changed the design slightly from my original drawing. I like the look of the solid border extending out into the edges of the blocks. 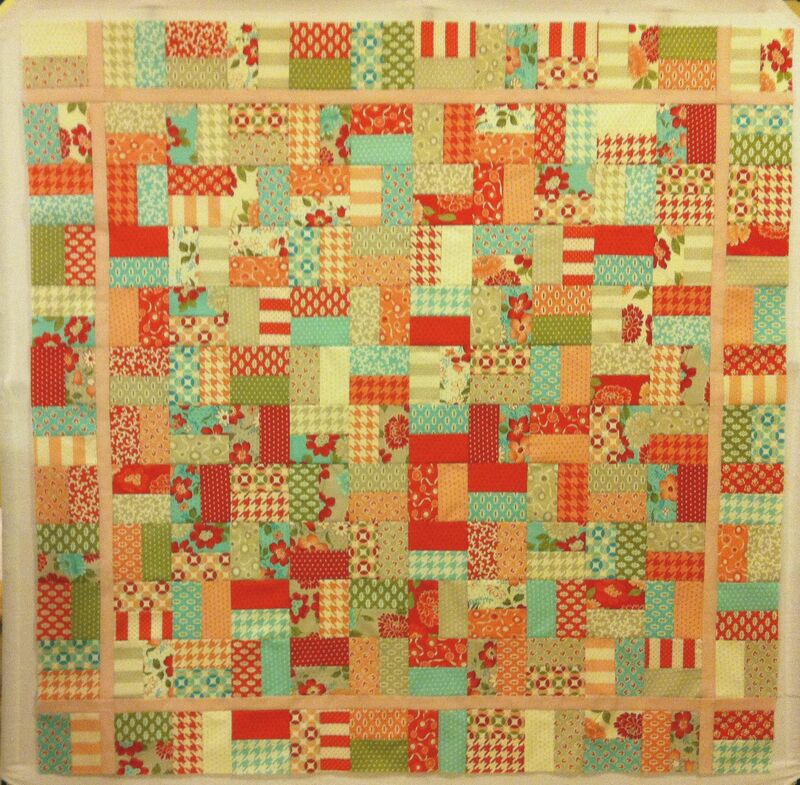 I also liked continuing the alternating block pattern into the pieced borders. Join the side rows to complete the top! Congratulations! 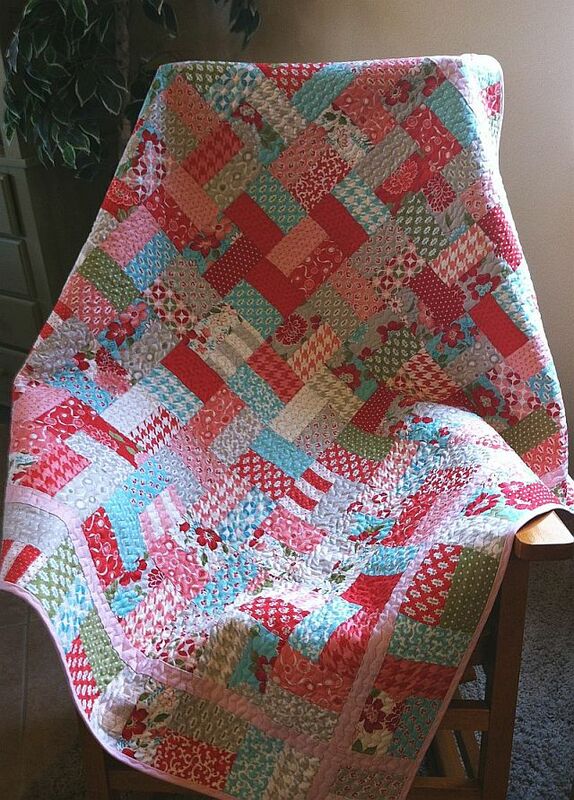 You’ve now finished your Jolly Jelly Roll Quilt Top! 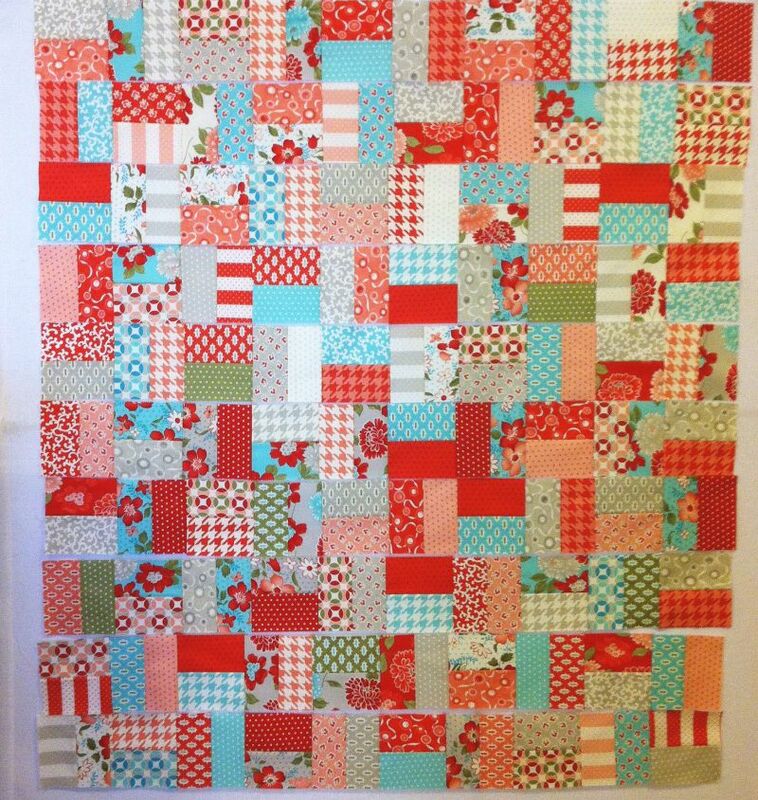 Please email pictures of your completed top to christa@christaquilts.com and tell me which Jelly Roll or set of fabrics you used. I’ll share your pictures before next week’s tutorial. Next week we will prepare the backing and baste so it’s ready to quilt! 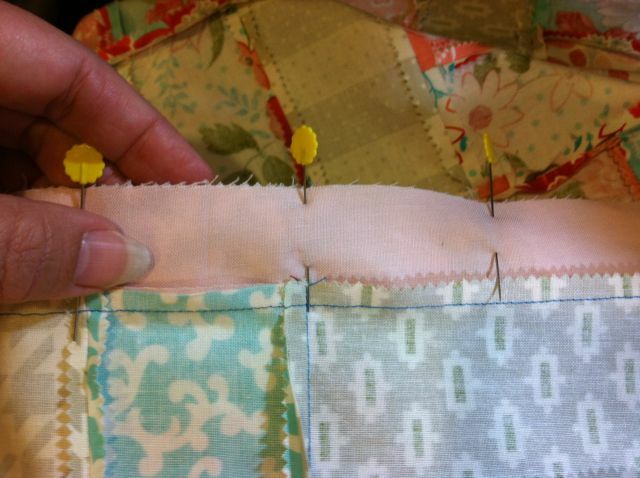 You’ll need backing fabric (3.5 yards), batting (at least 60″ square), and basting pins. Here is the supply list. 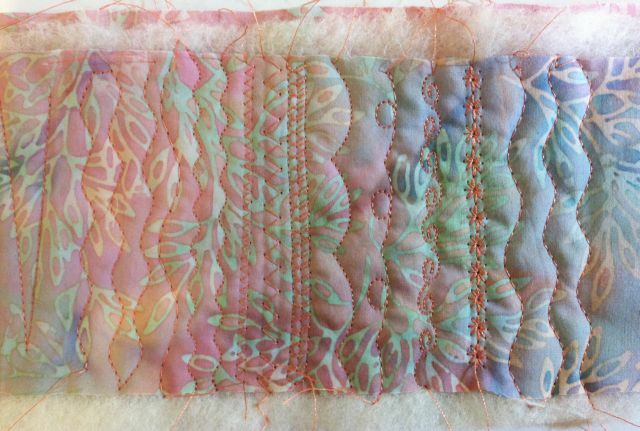 I used one Vintage Modern jelly roll by Bonnie and Camille with 1 yard of Kona Cotton Solids in flesh pink for my quilt top. 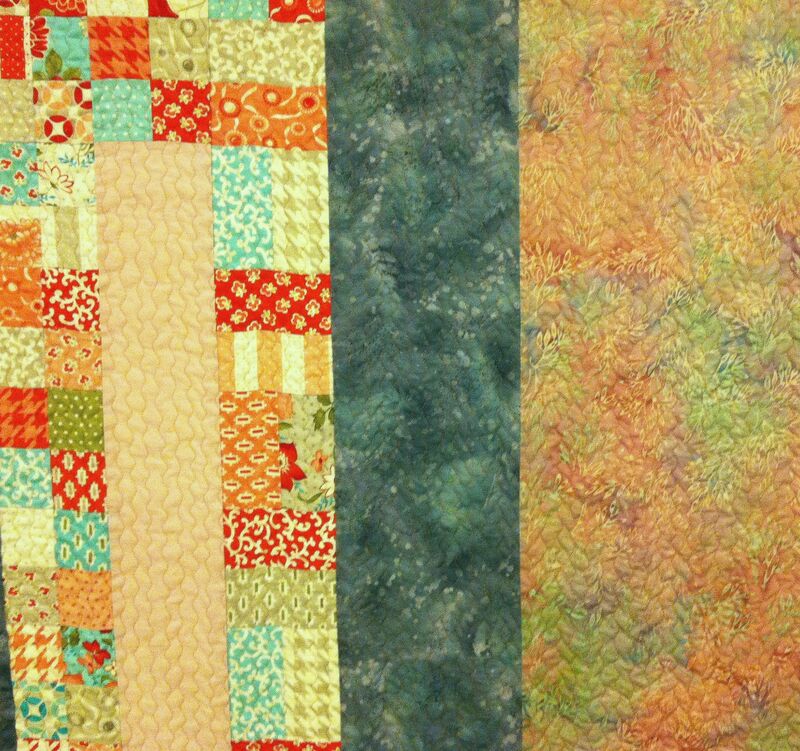 I will pick out my backing fabric later this week and will use the remaining blocks to add a little interest to the back of my quilt.